TXT&BAZ shoe rack to achieve a dust-proof, increase storage, easy to install, beautiful function. Excellent selection, strong and durable. Simple installation. Its portability allows you to move storage space between rooms or for a change in your room's layout easily. 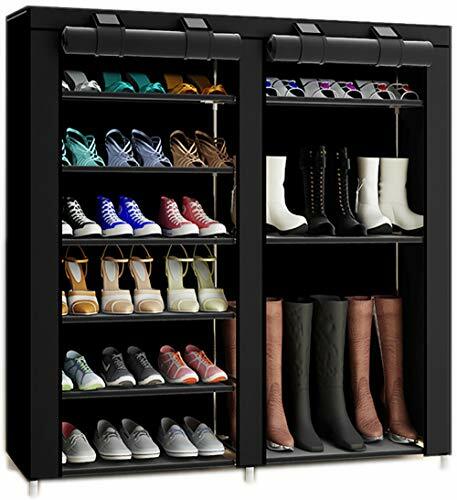 STURDY AND RELIABLE CONSTRUCTION - Made from durable and high-quality polymer plastic, your large shoe organizer is built to last. If you have any questions about this product by TXT&BAZ, contact us by completing and submitting the form below. If you are looking for a specif part number, please include it with your message.